This is the first thing you need to do in order to start using Missinglettr. As you sign up for the service, one of the first windows you’ll be shown will request the address and basic information about your blog. 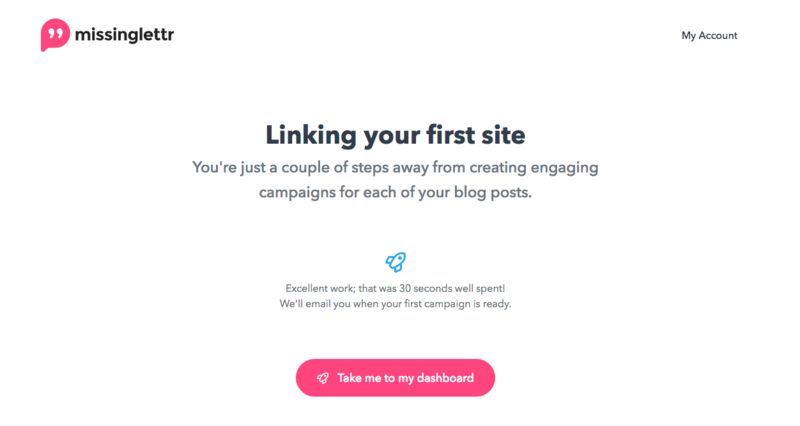 If you have more than one website you want to connect, you can do that later. See here. Fill in the name of your website and link to a blog post, your blog or your RSS feed. If you’re curious about what an RSS feed is and how to connect it, read this. After you’ve filled in all the info, click the “Let's go!” button. That's it - you successfully connected your site. 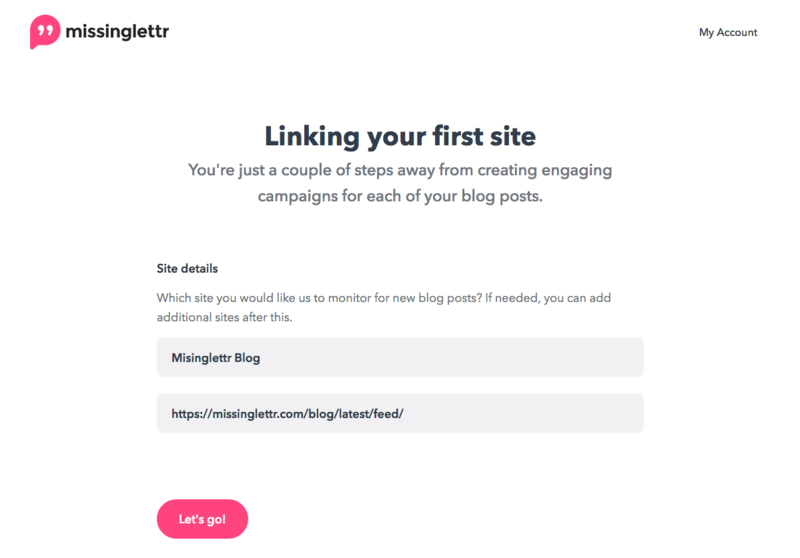 In the background, Missinglettr will work its magic to discover import your blog posts automatically. If that doesn't happen a message will go out to our Customer Support automatically and we'll make sure to assist you with the setup. P.S. don’t forget to confirm your email after you’ve signed up. You’ll find a message in your inbox shortly after you’ve set up your account.